Every year, the usage of digital platforms as a means of engaging with brands continues to grow at an exponential rate. Brands that don’t invest in a social media strategy will surely be left behind in the coming years. Luckily, it’s not too late to start. Influencers are a great way to get started quickly without having to shell out too much cash. Working with influencers during the early stages of your social media strategy will help your brand mold its strategy around the desires of your targeted audience – after all, influencers are the golden gate to your target customer. In fac, check out our blog on 10 social media marketing tips for small businesses or our blog 3 tips to make your brand appealing to top social media influencers. As a brand marketer, one of your main goals should be to help your brand’s audience grow; a stagnant audience does nothing good for a brand. 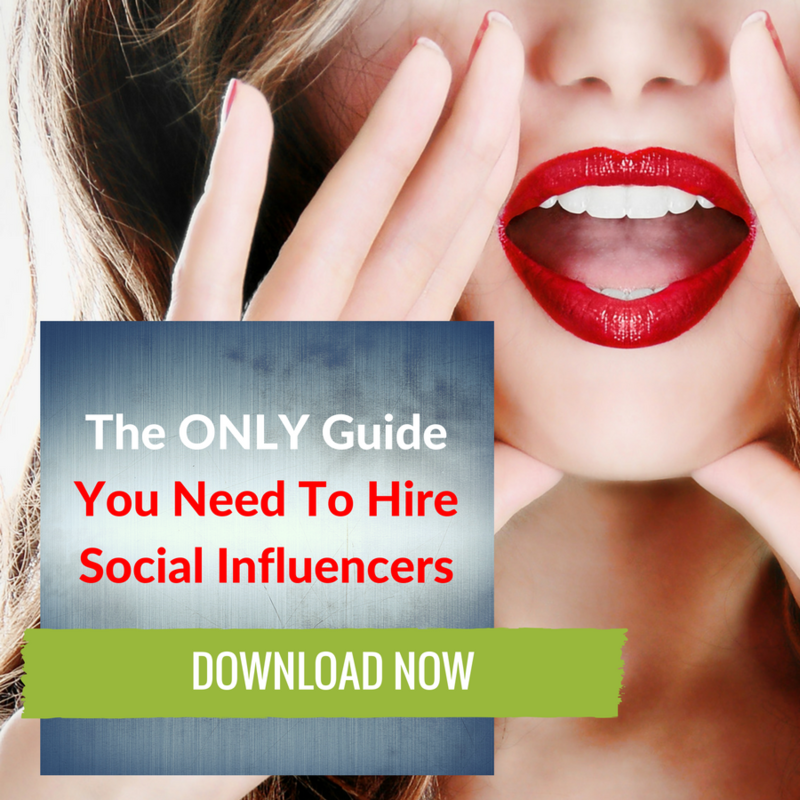 One of the most time efficient and cost effective ways of doing this is through influencers. By using a network of social media influencers, a brand will be able to provide their product, message or service with the credibility needed to grow their following amongst a targeted consumer base. In addition, influencer content will help your brand reach a larger audience base by increasing its position in search rankings. If all of your social engagement comes from paid campaigns, it’s time you start thinking about using influencers. In order to have organic engagement, a brand must have a strong connection with their following – a connection that makes your audience want to engage with your brand on their own time. Influencers can help spark or reignite that relationship between your brand and customers. And check out our blog on why social media engagement is important for a brands celebrity influencer partner. So, you’ve been running paid ads and the click-through-rates are looking really good but for some reason, those click-throughs aren’t leading to product sales. Typically, this means that users had enough interest to click in and see what you’re offering but not enough to actually move forward with the sale. Of course, this hesitation can be due to a few different things (ie. price, perceived quality, indecision between a competing brand, etc.). Luckily, influencers are the perfect tool to help those users cross the ‘not quite sure’ chasm due to the level of trust that they have garnered with their following. Influencers help provide that level of ‘social proof’ needed for users to trust that your brand is worth spending money on. Getting your brand in front of customers is just the first step. Often times, a brand must take it one step further and educate its potential customers on the product, its functionality and why it’s better than the other brands that are selling a similar product. This is easier said than done, especially when many consumers are tired of hearing brands explain to them why they should buy their product. Influencers have an innate ability to present your product to their following in a way that comes off as genuine and not all “salesy” ultimately winning your brand more sales in the long run. By no means is influencer marketing a ‘one size fits all' strategy nor is it a ‘one hit wonder’ strategy. Implementing a successful influencer marketing campaign takes patience and close attention to detail. A brand marketer must set clear goals for the campaign at-hand and decide on how he or she plans to measure the results. When first getting started with influencer marketing, it is often easier to work with an agency that already has the knowledge and experience in the world of influencer marketing. 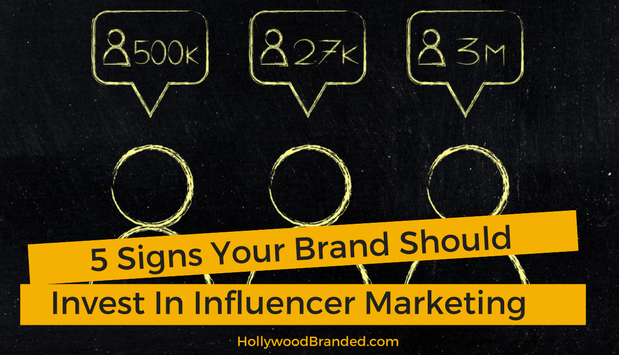 Here at Hollywood Branded, we are more than happy to help your brand achieve its influencer marketing goals. To find out how we can help your brand grow through influencer marketing, please visit hollywoodbranded.com and check out The Only Guide To Social Influencers You Will Need below!